Yes, I’m breaking my own Theme selection on the first day of the Challenge. Anniversary is not an object, unless you count it as an object of affection. Let’s go with that. May 14, 2014 will be my 25th wedding anniversary. No one is prouder than I am to own that milestone. Soon after we met, Hub began talking about marriage, certain very quickly that we were the real deal. While I fell in love with him within months of meeting, I was content to live together; to share our lives without taking that formal step called marriage. It was so perfect already, why not enjoy that stage indefinitely? Why mess with perfection? As two years went by, I continued to resist his requests to marry, assuring him I’d marry him someday, just not now. Eventually we reached an impasse. He needed my commitment of marriage, and I couldn’t give that to him. My hidden truth was I didn’t trust that I could follow through with the “forever, till death do us part” promise. My first marriage lasted only seven years. It took me another six long years to recover from that sadness. No matter how much I loved my new partner, I couldn’t vow “forever” when I had already failed to keep that commitment. One day, both of us in tears about our impasse, I admitted my fear about not being able to actually follow through on “forever”. And that’s what we vowed at our wedding: to marry for 39 years plus options. If you asked me today, 25 years later, if I could make a “forever” commitment to Hub, I’m happy to say I could; I would. But it took his love, patience, understanding and creativity to get me here. Hi – thank you and congrats on both of us taking the A plunge. Next year will be easier! This is a lovely story! It took me and my husband ten years before we finally got married. We’re just coming up to our ‘second’ anniversary, he he. 🙂 Whatever works, eh? Each couple has to figure it out. Enjoy celebrating your second – you’re practically newlyweds! What is you website? All I get by clicking on your icon is your gravatar. Would like to visit! Congratulations on your anniversary and such a lovely story to share with us. Thank you, Eileen for visiting. I will do same! What a lovely story. Happy anniversary! It sounds like you have a great guy there. Thanks, Elizabeth. He is definitely a keeper! I wasn’t one to run to the altar the second time around either, but now, 20 years later, I’m so glad I did. Your story is beautiful. Thanks for sharing it with all of us. Sounds like we had similar experiences. Thank you for visiting – I’m on my way to your site. I can comment to WordPress bloggers on I-Pad, but have to have “real” computer for blogspotters. See you soon! That’s such a lovely story! Thank you for sharing it. I always get the warm fuzzies whenever I hear about couples who have stayed together and are still in love after so many years! Thank you! We enjoy being around couples who still nurture their partnership, too. I like your sunflower! Will visit to see more of you. well done on 25 years, that is fantastic. Good on you both! All the best for one month of A2Z which should be a piece of cake after keeping a marriage going that long. LOL Cecilia, I never thought of it that way!! You just blew my A to Z stress right off the table! Thanks for stopping by! Cecilia, do you have a website? All that shows when I click is your gravatar (with lovely photo) but it doesn’t show link to your site. Thanks! http://ceciliaaclark.blogspot.com.au 🙂 two a’s in the middle if you type it. Hey neighbor! Thanks for visiting and for anniversary greetings. Look forward to jumping to your post! Sweet story! My husband also proposed within a short time, and I said yes, but it took us a couple of years to do the deed. I love the 39 years +. This little post would make a sweet short story. See you tomorrow! Thanks, Katie! This is already fun trading visits back and forth! That’s so sweet 🙂 I’m such a hopeless romantic and stories like these just bring a smile to my face. Thanks for sharing it with us. Aww thank you; it’s nice of you to say. We need more romance in the world, right? I will swing by your site. Lovely story. 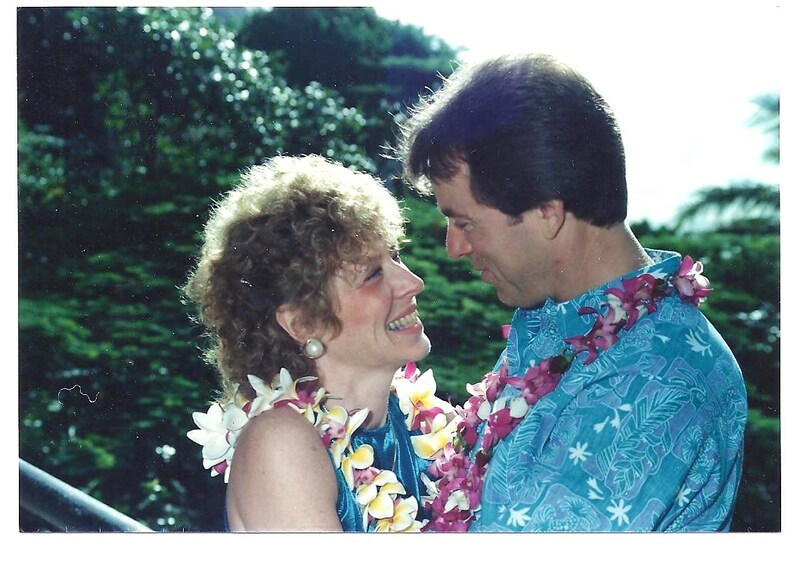 We’re coming up on 35 years and we still call ourselves the cute newlywed couple. Happy Anniversary. Hey – congratulations on paving the way for us newly-newly weds!! It’s wonderful to still be so appreciative and positive after years of togetherness. Thanks, Charlotte. Appreciate your visit! I’m “traveling to lots of UK bloggers” so will see you there! 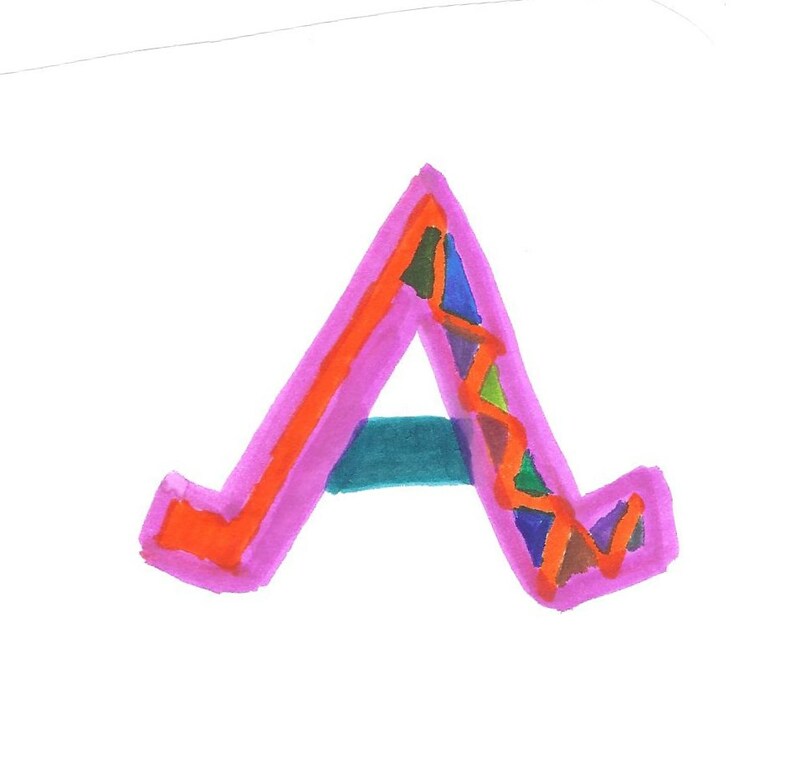 Hi, fellow A to Z blogger. I loved this story. It made laugh and smile, what could be better? I hope that you and Hub enjoy the next 14 years and come up with some sweet options! Thank you Jillian!! We’ve actually had a lot of fun teasing each other through the years about those options “Do you want to renew early”; “will you have a lawyer negotiate your terms”; “can we stop at 37” It keeps it fresh for us. I read your A earlier but couldn’t comment. Heading back there now. Congrats on a wonderful milestone! You have a great story. Isn’t marriage awesome? My husband and I will have 22 years this summer. I am truly enjoying hearing from all the happy marrieds out there. Thanks for stopping by. “39 years plus options!” That is fabulous!! LOL!! How endearing. One time that leap from frying pan to fire was a good leap for you! Congratulations on your 40th; you have a lot to be proud of and grateful for. We appreciate every day together! Marci – thank you. I owe so much of our longevity to the man I married. Hurray, indeed! Thank you so much! Your visit and encouraging words mean a lot to me. You were very courageous to give it “one more go”, and I’m so glad to hear you say you made the right decision. If we hang in there through the bad times, the good ones always come ’round again. And they are worth the work and the wait! How beautiful – I loved this, and love your honesty. I could feel your emotions all through the piece – truly beautiful! I wish you both many more happy years filled with much love and laughter! Thank you so much, Lynn. Laughter is definitely one of the best parts of our life together. Thank you for visiting and sharing your thoughts. It seems comical to me now when I can’t imagine all these years without being married to him! Thank goodness he figured out a way to make it work. Hey thank you! I appreciate your visit and thoughts. It’s good to have Day 1 accomplished! Thanks, Lainey, dear! What an interesting day I’ve had traveling the world! Congratulations on your upcoming 25th, truly a wonderful tale. We’re hitting our 30th later this year and have know each other since we were 16/17. Now THAT’s worth celebrating. I so admire couple who have been able to thrive in their first (and only) marriage. What a history you have built together! “A” for absolutely wonderful! Thanks for sharing your story, and congratulations on 25 years!! I’m looking forward to reading B. Hey Ginnie – Glad you read this one. It’s probably the best of the bunch (but don’t tell all my other readers!!) Thanks for your encouragement. This is a terrific story and he definitely sounds like a “keeper”. 25 years for us this year also. Your hubby’s perspective on marriage certainly makes it sound less daunting. Great first Challenge post, Sammy! Thank you for your kind words. It’s so nice to hear from so many talented writers, and I’ve enjoyed my visits today. I am thrilled to have heard from so many who say they are also at 25 years or more. Makes me smile to know other couples have shared the richness we have – the ups and downs faced and enjoyed together that make the journey so meaningful. Congratulations! What a wonderful story! Here’s to many, many more years of happiness! Isn’t it wonderful when you find your soul mate? Happy writing! Absolutely amazing about your anniversary. It’s honestly the connections that we make and cherish that define us and the mark we leave. Keep up the inspiring thoughts! Why thank you! It is such a treat to see new faces and hear from other bloggers. I hope your April goes well for writing, visiting, and new friendships. Sometimes our mind processes details better. And forever is a scary term. 39 years plus options sounds doable 🙂 insightful post! Thanks for taking time to visit, AJ. I think I have such a logical, business-oriented mind that “forever” was too abstract. I’m just glad we figured out a way to move forward with our marriage. See you at your site later this week and will catch up then. This bloghopping is invigorating! Aw, what a great story, not only of your love but also of your courage to get up after your first marriage. Great read, thank you! Thank you, Andi. Glad Hub figured out a solution for us. I was afraid he was about to give up on me! You bet – I can’t resist the flowers! Hey – thanks for stopping by. No kidding – I learned that is what makes a marriage work – we carry the weight together or one carries for awhile because the other can’t. I have been so blessed to have him. Fantastic! 25 years is a long time. I lived with my husband for 17 years before finally agreeing to marriage. I, too, had been in a marriage that only last 9 years. I take my wedding vows seriously (you can read that on my blog) and I was terrified that I couldn’t make it until death do us part. We have now been together almost 37 years!! single mothers, aimless adult men). It reinforces my own marriage to hear from so many who truly love their partnerships. I like that…..39 years plus options…..a practical man!